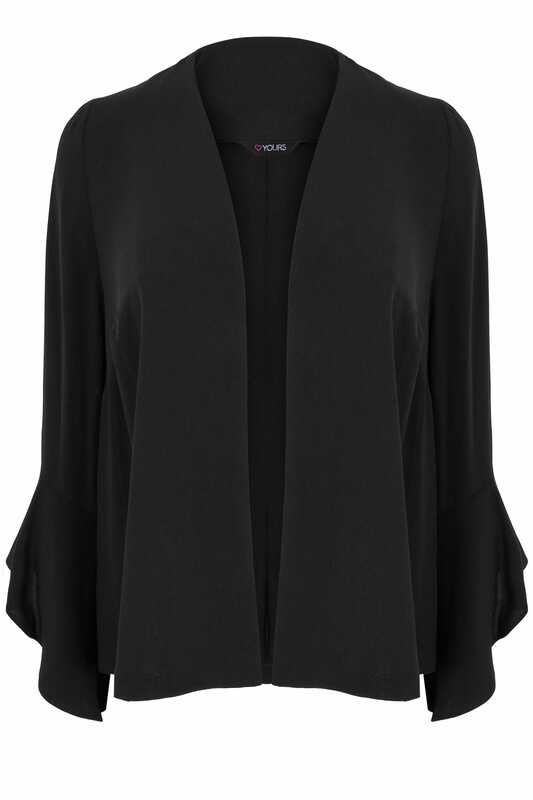 Showcasing on-trend flute sleeves, this stylish cropped jacket has been woven from a lightweight fabric for your comfort. Team with skinny jeans, a statement cami top and a pair of cute heels for the ultimate day-to-evening look. A must-have piece that will take you effortlessly from desk-to-dinner in style.